Happy Monday! It is a beautiful 54 degrees, the rain is falling, the fluffy gray clouds are hovering. Couldn't be any better (trying reverse psychology on myself.). 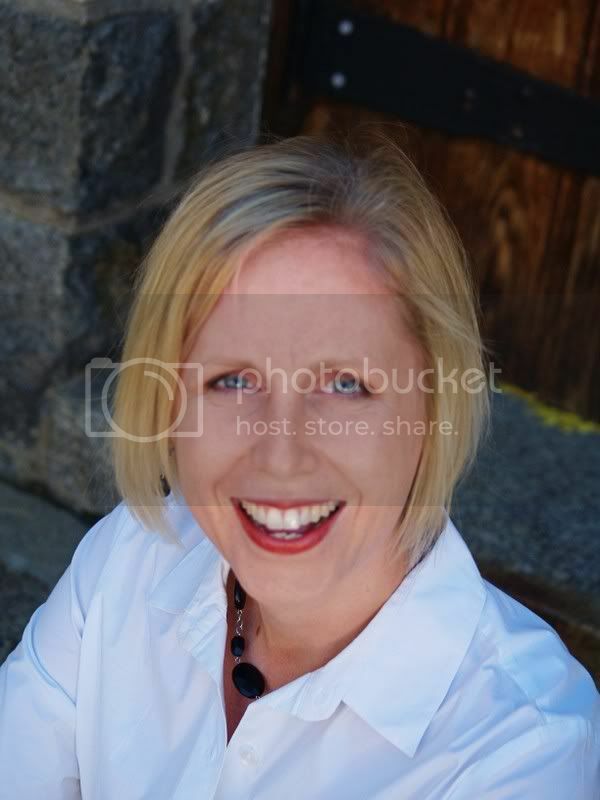 I have been tagged for a meme by Karen at I Invented Motherhood (one of my fabulous blog finds) . . . a fun one at that! The rules of The Game get posted on the beginning. Each player answers the rules about himself [or indeed herself]. At the end of the post, the player tags five people and posts their names, then goes to their blogs and leaves them a comment, letting them know that they’ve been tagged and asking them to read his [or her] blog. Ten years ago I was married, going to school, and working at a juvenile products manufacturer (high end strollers and car seats). We had recently moved from Georgia and were starting to look for our first home. In Georgia we had a very cool apartment--garden bath, huge rooms, nice kitchen, there were two pools, and beautiful scenery. In Chicago, the same rent would only buy us a hovel with an air conditioning unit that was HANGING by a cord from the ceiling, bullet holes in the walls next to the sliders, stained carpeting (I never want to know what that was), and neighbors that peered out their windows in all their glory (he had underwear on, but it was still beyond freaky nonetheless). After squirreling away every penny, partaking of every bit of free (or super cheap) entertainment we could get to (which there is really quite a bit in Chicago), and sustaining on generic cereal . . . we finally found a house. We moved in at the end of '98. Only one month later T's company decided they were going to move to NY. This was after they said they weren't going anywhere--"Go get your house!" They encouraged. 5. Crunchy stuff--carrots, pretzels . . .
1. Set up the educational futures of all the children in my family (J, nieces, nephews)--there are only five--at least for now! 2. Go on a huge trip with all my family and friends (you can come, too--I'm stinking rich, so why not!?!). 3. Set up educational scholarships all over the place--for adults, children--you name it! I am a firm believer in education--of all kinds! 4. Give to charity. Fight diseases. Fight poverty. Basically, every time we've moved I've taken on another "career." I've gone to college in FOUR states (Illinois, Michigan, Alabama, Ohio). Here's what I've done . . .
4. Project Manager (technology)--"Imagination at work" or "We bring good things to life"
1. I'm a wanna be multi-tasker who CAN'T multi-task. 2. I try to do too much in too little time, and am typically late because of it. YOU--if you haven't done it already! Nothing makes a girl so happy as to see a comment on her latest post. I enjoyed reading your meme. It is amazing how much I learned about you and I have only "met" you once. Your Chicago experience sounds scary. Glad to hear that you are happily not living on Lucky Charms anymore. Thanks for sharing a little about yourself. EMT, hmmmm, do you think you are a better mom because you have seen worse things?? Just curious. :) Thought maybe I would not freak out as much about a sliver if I had seen worse things. Thanks for sharing about you! I love meme sharing for that reason. Go with those baby ASL books! So glad you did it, too. Fun insights, and information that doesn't always rate high for a blog post. happy MM! Interesting answers! I love learning more about you. Hey I'm teaching a baby sign language class next month. Wanna sign up? Oh, forget the thousands of miles between us. Just teleport! Enjoyed the meme! Sorry the weather is stinky! Give baby J a big hug! It's nice to think about the billion dollars, isn't it? I did not know that you lived in Ohio! Oh.. you must email me and give me more info. I live right on the PA/OH border. Love the meme! I think I will play on this one! So I am so happy your taking me on vacation and we can eat boat loads of Veggie Chips.. those are my FAV!!! I may play along sometime this week ~ I am a sucker for these! ha! Ok, what the heck are Swedish fish? The only fish we know around here are Goldfish! HA! I TOTALLY CONCUR on the generic cereal, but at the rate at which we eat cereal, I buy it anyway SOMETIMES. I like generic shredded wheat. I can't do generic Lucky Charms or Rice Krispies, though. Great meme, Laskigal. I need to join the work-out crowd. Stat. If I had a billion dollars, I, too, would ensure education funds for all my nephews and my boys. I love choc too and I wonder whether all teachers are perfectionist cos my mom is a teacher and she is a perfectionist too. Eww! Dark chocolate! Too bitter! Does the reverse psychology on oneself really work? It seems to me like it is my husband's propensity to set the clock 29 minutes AHEAD, yet he is really smart and can do math in his head so what is the point? That was fun to read! Generic cereal is terrible! But now I'm going to pretend I didn't see it, because I can't bring myself to do such a long Meme right now! What a fun way to get to know you! All that information - and Swedish fish rock. We must be soulmates...because I ALSO love red swedish fish!! And isn't it just the WORST when they are stale and rubbery??! I also love that you are reading a Jean Chatzkey book. I puffy heart her and all her financial wisdom. I want to go to lunch with her and just learn by osmosis. Nice stories, I love what you want to do as a billionaire, I have the same feelings about education! I love me some sweedish fish. Seriously. I ate so many of them during my pregnancy with my daughter that I would not have been surprised if she came out with chewy sweet gills. I like Swedish fish, but they don't rank as one of my favorites. Did you see the recent list of worst candies? Swedish fish were on there and I couldn't understand why. Okay, freaky weird: I grew up in GA, live outside of Detroit now, LOVE to eat all of the same things on your list, and lots of other things that made me think "wow, we have so much in common!" -- except now I can't recall what all of them were, and I'm on the comments page, so I can't look them up. Oh, yes, I have dreams about having a personal trainer (which I need to keep me from backsliding). That's all I can recall. BUT, I'm so glad to have found another potential kindred spirit that you're blogrolled already. Looking forward to reading more and getting to know you better! 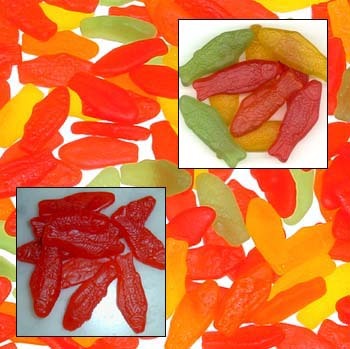 I LOVE swedish fish, they are super delish. Thanks for the meme. I learned a little more about you! bwahahahaha...I know that area of Chicago...yiles! and I totally squishy-heart Swedish fish...Like I might eat an entire pound in one sitting if someone doesn't intervene. oh, that would be yikes not "yiles".